Good perfume isn’t about cost, age or even a particular fragrance category. For all the niche perfumes I cover, there are certainly some good mainstream, commercial scents out there. Granted, they tend to have a significantly higher quantity of synthetics to make the price point profitable for the company and, granted, I cannot stand heavily synthetic perfumes but, even so, there are some very nice mainstream perfumes available. 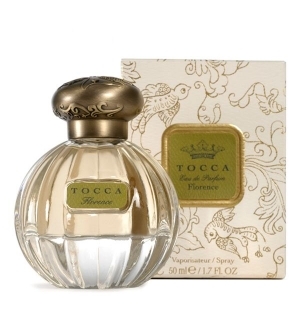 One such perfume that I always end up giving an appreciative sniff to when I encounter it is Florence, by the fashion and beauty brand, Tocca. For years, I’ve liked Florence, a very crisp, almost green, gardenia floral scent. For years, I’ve sprayed it in stores and contemplated buying a bottle. 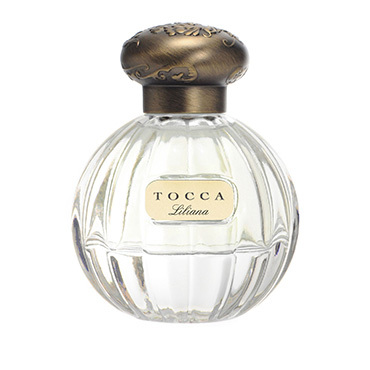 Then, earlier this year, Tocca came out with with another gardenia scent: Liliana, a fruity-floral fragrance meant to evoke the roaring 1920s and a party on a lush, green lawn. I finally decided to review both of them. Bottom line, one I still like (a lot), and one made me grit my teeth and wince for large parts of it. Let’s start with the bad one first. 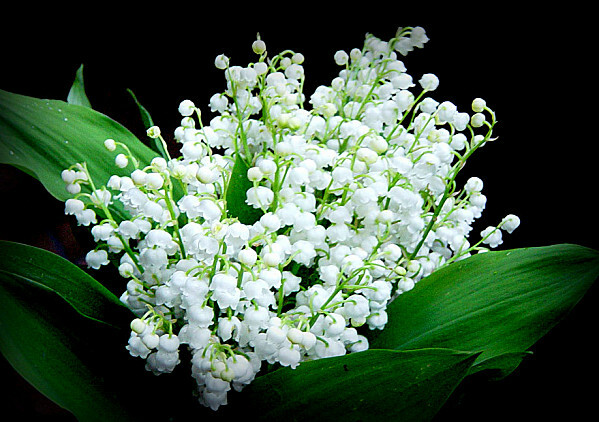 Muguet or Lily of the Valley. They left out a note — ISO E Super — but we’ll get to that later. Liliana opens on my skin with a burst of green and whiteness. There is: crisp, green lily of the valley; sweet, light peony (and what feels like freesia); a good dollop of white, synthetic musk; and fruited citruses. It feels watery and visually translucent in its whiteness, though it is a strong scent and quite synthetic in its crisp, fruity-floral feel. The potent muguet (or lily of the valley) note feels sharp and infused with an alcoholic edge that reminds me of a cleaning product. The peony is sugary sweet and also feels synthetic. Soon, gardenia joins the party — and it does nothing to transform the perfume from any number of white, floral, fruity-floral scents sold at places like Bath & Body Works. Minutes into Liliana’s development, it is simultaneously sharp in its gardenia-peony-muguet combination and incredibly cloying. It’s tooth-achingly sweet, especially once the increasingly powerful, synthetic, patchouli adds its booming voice to the mix. 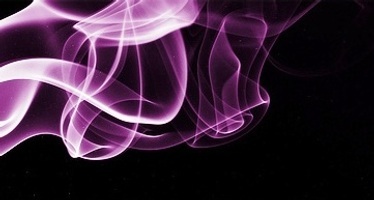 It’s not a soft, mossy, or even black patchouli, but a purple one — the kind so frequently used in commercial scents, including Chanel‘s Coco Noir. Liliana continues as a blur of white and green floral notes, combined with that shrill patchouli and the cheap white musk, until eventually ISO E Super pops up at the thirty minute mark. The synthetic is sometimes considered a “super-floralizer” to amplify and extend the life of floral notes, so I’m not completely shocked it appears in Liliana. But I hate ISO E Super with the searing passion of a thousand suns, and it torments me for at least a few hours in Liliana. Since most people can’t even smell it and since a few like the smell, I’ll spare you my repeated descriptions of the note and just let you read about it here if you’re interested. Be aware, however, that some people get serious migraines from the synthetic — even when they can’t detect it in any individual, distinct manner. I don’t normally get headaches from ISO E Super, but Liliana did give me the small start of one. The perfume does eventually improve — somewhat. Midway during the second hour, Liliana becomes much less abrasively sharp and much less cloyingly sweet than it was at the start. My teeth no longer feel like I need a dentist’s visit for cavities. The gardenia note softens and becomes fuller, the muguet deepens, the patchouli isn’t quite as offensively purple and loud, and the whole thing verges on actually being a bit pretty. Even the ISO E Super improves (relatively speaking), adding a velvety, slightly abstract, vaguely woody feel to the base. It’s still somewhat peppered, but it is much less painful than it was in its opening cannon fire. Liliana eventually turns into a fruity gardenia scent with light musk. It feels significantly less cheap and less like some thin, sheer, synthetic body spray that you could purchase at Bath & Body Works. It does seem more like eau de parfum and, in fact, I can genuinely see the mental image that Tocca wants to evoke: a garden party with lush, rolling expansive green lawns, the “Pretty Young Things” of the 1920s dressed all in crisp white clothes, and perhaps playing croquet. Liliana remains that way for another few hours before finally fading away as clean, white, amorphous floral musk. All in all, it lasted just a hair over 7 hours on my perfume-consuming skin. The sillage was quite strong at first, before dropping a little at the start of the second hour. It only became a skin scent about 5 hours into its development, so people who have perfume-phobes as office co-workers may not want to spray with abandon. As you can tell, Liliana was not my cup of tea. However, young women who love extremely sweet fruity-florals would probably adore this one. The few reviews available on Fragrantica seem to support that conclusion, with the word “lush” being frequently used and one commentator saying she felt badly for thinking Tocca had “old lady perfumes.” Well, I grant her that — Liliana certainly doesn’t smell like Shalimar or L’Heure Bleue, two legendary classics that are often derisively called “old ladyish.” But the real problem to me is that it doesn’t even smell like a good fruity-floral. There are certainly some great ones out there, but Liliana made me actually go check the “Siberia” portion of my bathroom cabinets for some of the Bath & Body Works fragrances that I’ve been given. And I’ll be damned if the first hour of Liliana didn’t replicate a number of them in feel and quality! There’s nothing wrong with Bath & Body Works, but, given that they cost around $14 and Liliana costs $68 for a small 1.7 oz/50 ml bottle, I think I’ll pass. Like Liliana, Florence is white floral eau de parfum that is centered around gardenia. Like Liliana, it’s not a hugely complicated perfume and never really morphs one way or another. Unlike Liliana, however, it has no brutishly sweet purple patchouli, no “clean” white musk, and is not a fruity-floral. It is really more like a gardenia (with tuberose) soliflore — a perfume centered around one main scent — and it’s a lovely one at that. I don’t know if I’d ever actually buy it, but that is only because I have about five gardenia-tuberose fragrances already and, ultimately, I don’t wear pure florals enough to warrant Florence becoming Gardenia-Tuberose Version #6. From the first sniff in the bottle to its opening moments on the skin, Florence is light, green, fresh, airy, delicate, crisp, almost dewy gardenia. It’s backed by a dainty touch of violets and green pear, the latter feeling like a very summery, watery nectar. There are touches of other fresh green notes, too, along with subtle whiffs of tuberose but Florence is primarily a gardenia scent. 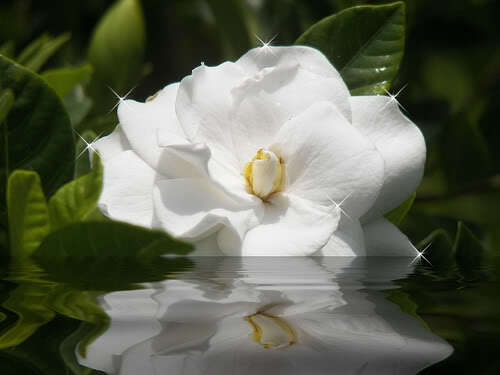 As many of you know, gardenia is one of those flowers whose aroma can’t really be captured from the petals, whose scent cannot be distilled, and whose aroma has to be recreated using other essential oils. (Fragrantica has a little bit on this issue if you’re interested.) Tuberose is one of the main ways to create the smell of the gardenia and its rich, indolic, heady nature is also the reason why many “gardenia” perfumes feel buttery rich. The thickness is why some people run screaming from gardenia as a cloying, headache-inducing scent, but the actual flower on the bush has a very delicate, dewy, green, airy fragrance. And that’s the form of gardenia captured here in Florence. As time passes, Florence doesn’t change in any significant way. The violet and pear notes quickly fade away, though something green — probably the grapefruit leaves and/or bergamot — always stays to undercut any buttery, heavy, indolic or cloying aspects to the gardenia. The iris note was virtually nonexistent from the start on my skin, the citrus or apple don’t exist in any noticeable, distinctively individual way, and the base never reflects the woody or white musk components. Instead, it’s gardenia, gardenia, gardenia, tuberose, and a dash of jasmine, all together in a very fresh, dewy, green way until the 90 minute mark when Florence becomes a little bit deeper, creamier and richer. It’s still never indolic or cloying, however, and always feels green and almost watery, despite the potency of its fragrance. I happen to really enjoy the greenness that marks much of Florence’s character, but I would be the first to say that it’s not exactly a revolutionary or complex perfume. Yet, for all that, green gardenia fragrances are much harder to find than you’d expect. Florence feels greener, airier and lighter than the other “gardenia” (but really tuberose) fragrances to which it is often compared on Fragrantica. Take, for example, the eponymous Michael Kors fragrances — both “Michael” and the “Michael Kors” version which seems to have replaced it. I own the latter and found it to be a considerably richer fragrance that has a more vanillic opening. More to the point, to me, it is primarily a tuberose fragrance which just happens to have some other white flowers following far behind. Florence is even airier than the eponymous Carolina Herrera perfume (“Carolina Herrera“) which is an absolutely ravishing, rich, deep tuberose fragrance (that was supposedly once Angelina Jolie’s signature fragrance). I own the Carolina Herrera as well, and think it’s almost all heady, indolic, ripe, blooming tuberose and jasmine, with gardenia feeling quite overshadowed. It certainly doesn’t feel like a dewy, green gardenia scent with only small dashes of tuberose and jasmine. To me, Tocca’s Florence actually brings Ineke‘s Hothouse Flower to mind, even though the two fragrances are ultimately very different. 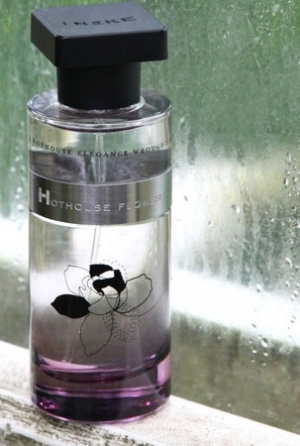 I found Hothouse Flower to have some dark, peppered and woodier notes underlying parts of it, along with dashes of galbanum and green tea. It’s a more nuanced, complex gardenia soliflore, but it is the closest thing that I’ve smelled to Florence’s dewy, green fragrance. Both perfumes evoke the feel of the actual flower on the bush, first thing in the morning, with Spring just around the corner. However, Florence is much stronger than Hothouse Flower and lasts considerably longer on my skin. Florence’s projection was quite strong at first, before dropping down to create a small cloud about 3-4 inches around you. It may not be noticeable across the room (unless you use a lot), but you can certainly detect without bringing your arm to your nose. It only became a skin scent on me around the fifth hour, while the Ineke did so after about 50 minutes. And, on my perfume-consuming skin, Florence lasted approximately 7.75 hours with just a small spray. There is a lot of love for Florence on Fragrantica, especially by those who normally dislike gardenia perfumes. 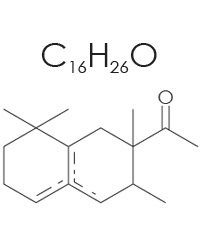 It is frequently described as “heady,” while simultaneously being called “airy” and “light” in feel. Some people who seem to share my perfume-consuming skin noticed, as I did, how long a single spray will last. A number of people experienced a lot more of either the pear, iris or woody notes than I did, while others detected nothing but gardenia. 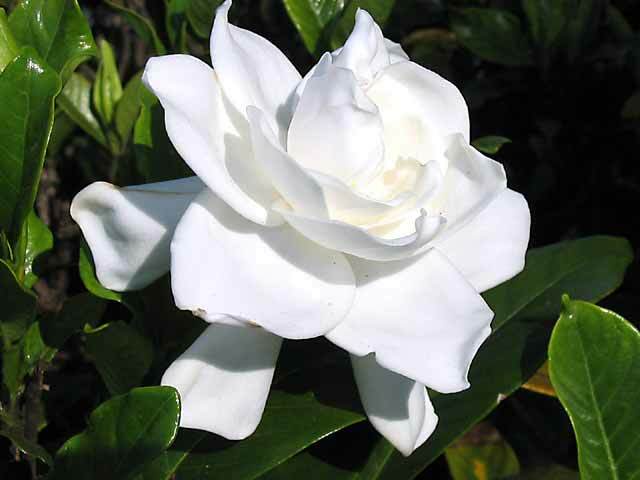 Interestingly, one commentator didn’t like it because, as a gardenia lover, it was too green and “unripe,” and she preferred a more mature, creamy, indolic, buttery gardenia note. Another found it far too strong, saying she preferred more subtle perfumes. And one wrote paragraphs about “BIG GARDENIA” (with the phrase in all-caps) and how it was nothing but that on her. Yet, despite a few dissenters, Florence seems to be much-loved with many writing about how it felt fun, flirty, feminine, non-retro, not heavy or old, but carefree and airy. I share their opinion. If you’re looking for a gardenia scent that isn’t cloying, heavy, or indolic, I think you should definitely give Florence a sniff. It’s easy, versatile, feminine, would work as both a day fragrance or a date-night one, has good longevity, and smells like a good quality perfume. It is also quite affordable at $68 for 1.7 oz/50 ml of eau de parfum. But those who prefer unobtrusive, soft, discreet, low-sillage perfumes may want to take caution. On that relative scale of things, Florence will undoubtedly be too powerful and strong; it will be “BIG GARDENIA,” even if it is a green one. Still, I think it may be the prettiest perfume out of the Tocca line. Cost & Accessibility: Both Liliana and Florence are Eau de parfums which come in either a 1.7 oz/50 ml bottle for $68 or in a 0.33 fl oz rollerball for $20. You can find Liliana and Florence on Tocca’s website. Sephora (USA) also carries Liliana and Florence (along with Florence’s various associated products like lotion, skin care, etc.). Tocca perfumes are also sold at Barneys New York, Bluemercury & Anthropologie. Outside the U.S.: In Canada, Sephora sells Liliana for CAD$85 and Florence for CAD$72. I can’t seem to find Tocca on the French Sephora website. International readers may want to check the Sephora International List for one near you to see if Tocca is carried. For all other countries, the Tocca’s Stockist link on its website lists the following international retailers (or retailers who sometimes ship internationally): Shopbop.com, Steven Alan, Gabriela de la Vega, Warm; Montaigne Market – Paris; Couverture – London; Space Mue – Seoul; Blood Orange – Sydney; and The Block – Vancouver. Samples: You can probably get free samples of the perfumes at all the sites linked to above but, if that doesn’t work for you, Surrender to Chance carries Florence (but not Liliana) starting at $2.99 a vial.